There are some subtle differences which separate the successful from the unsuccessful companies. They don’t know what they want, but are looking for something new and exciting. Everything needs some custom artwork. A great app starts with a great user interface. Learn how to design and code a UWP app user interface that looks fantastic on all Windows 10-based devices. 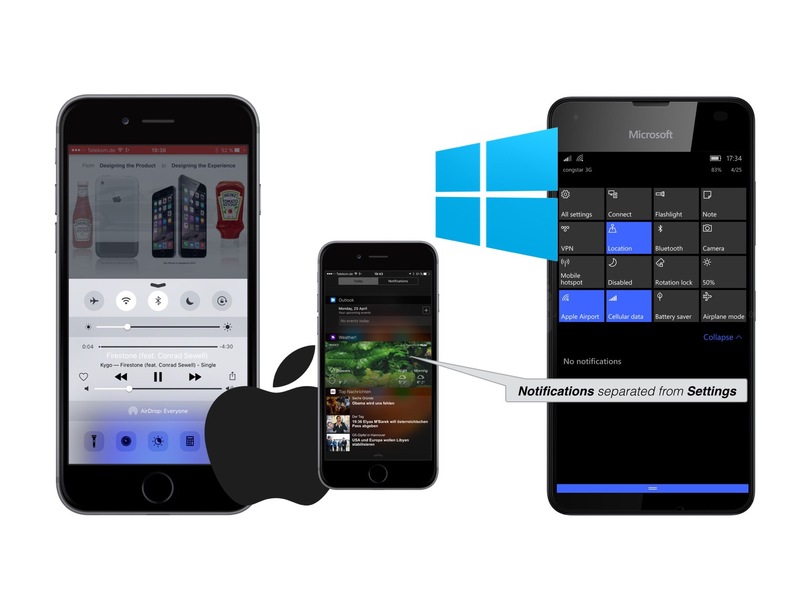 Advantage Microsoft because so-called Quick Actions in the Action Center can be configured (Settings – System – Notifications & Actions – Quick actions). The iOS Control Center cannot be configured although it was already introduced with iOS 7 back in Sep 2013. Pathetic, Apple. Distinctive design – clean, friendly, and funny – became the hallmark of Apple products under Jobs. In an era not known for great industrial designers, Jobs’ partnerships with Hartmut Esslinger in the 1980s and then with Sir Jonathan Ive starting in 1997 created an engineering and design aesthetic that set Apple apart from other technology companies and ultimately helped make it the most valuable company in the world.